Then, it needs to undergo an extensive multi-point inspection to make sure it meets manufacturer standards. BMW-trained technicians will go over the entire vehicle with a fine-tooth comb. If any part of the car isn’t up to those high standards, then it’ll get repaired or replaced with genuine OEM parts. By going through this process, the vehicle can truly live up to being The Ultimate Driving Machine®. 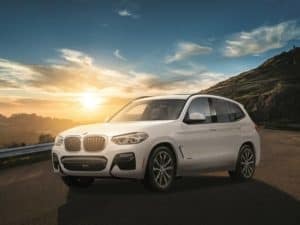 In addition, many newer models are available with the BMW Assist™ Safety Plan. It offers things like emergency service assistance, collision detection notification, and more. This way, you can have peace of mind with just the push of a button. If you’re interested in a BMW Certified Pre-Owned vehicle, then check out our lineup online. We carry many models, like the 3 Series, 4 Series, X3, and X5. You can either browse through every listing, or use the search filters to narrow down your options by things like body style, exterior color, and features. Once you’ve found a car or two that interest you, you’ll want to visit our dealership to take them on a test drive. By experiencing their features and performances in person, you’ll know for sure which one is right for you. After you’ve selected your new ride, you’ll want to get started on the buying process as soon as possible. You can first fill out our secure finance application to get pre-approved. Afterwards, stop by our finance center, where our experts will get you the finance options that you can feel good about. You can rest assured that our CPO inventory contains the highest quality vehicles. However, you’ll still want to keep up with routine maintenance. By getting regular oil changes, tire rotations, and more at our state-of-the-art service center, your car will run well for many years and miles. 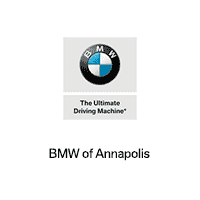 Check Out Our BMW CPO Cars If you need a car near Annapolis, Highland Beach, or Hillsmere Shores, then stop by BMW of Annapolis. We’ll show you around our lot, so you can look at our BMW Certified Pre-Owned cars for yourself. Don’t wait. Stop by our BMW CPO dealership today!